As a youngster, I remember learning a Vacation Bible School ditty about the wise man and the foolish man. In the song, there was a great rainstorm. One builder had built his house upon a rock, and that house stood firm. 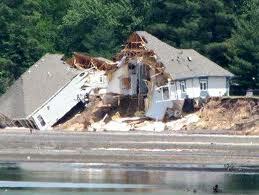 The other had built his house upon sand and the house fell down (went smash!) The morale of the story is to make a sure foundation before beginning an endeavor whose outcome is important. Most businesses know that they need to do some business or strategic or turnaround planning. Planning is vital to creating shared mission and eliciting commitment from stakeholders in the outcome(s). Most executive teams, however, underestimate the value of educating employees to prepare them to execute the plan and achieve the desired results. We all want employees and managers who maintain a cool head and concentrated focus. What is our role, however, within executive teams, to help our people become prepared? We would assert that our role is to lead and influence through empowerment. Empowerment enhances employee engagement and reduces the likelihood that only executives will be expected to take responsibility for outcomes. Skilled employees are usually made, not born. Therefore, key employees deserve professional education and job training. Be constantly grooming your staff to take on more and more responsibility. Much like a second-string player on a sports team, a second generation of managers should be in waiting, ready to step in when called. This intentionality is also very useful in succession planning, because those who vacate their positions already have trained backups who would be ready to perform the role should their predecessor no longer be able or willing. Continuously analyze employees for management potential through an interactive process of interview, observation, and written response. Be on the lookout for employees in all areas who posses strong analytical and evaluation skills, combined with the emotional intelligence to handle changes effectively and appropriately. Give your people the opportunity to prove themselves worthy of consideration for grooming. When evaluating management candidates, leaders will often try to determine, through an employee’s actions or words, the employee’s perceptions about the company’s mission. A demonstrated commitment to the mission shows promise. Using individual interviews and feedback sessions, leaders can determine whether employees understand chain of command and critical success factors for business success. Asking employees how to improve the productivity of their part of the business, their own execution, and corporate profitability can reveal (through their responses and actions) whether they understand the key levers of management. Those who can consistently make recommendations for company improvement should be considered for management positions and be given an opportunity to refine their skills through education and training. The employee development need not be formal; the one-to-one mentoring of high potential employees can yield significant results. Formal workshops and continuing education offered within your industry or organizations serving people in key roles can sharpen skills, focus, and performance. Personnel files should document employee attendance at educational programs as well as innovative solutions they have offered to real problems. These files serve as the basis for performance reviews as well as management development. Difficult work assignments containing known problems offer the high potential employees to contribute on meaningful decisions. If unsatisfactory decisions are made in these situations, the employees can be coached and mentored through what should have been done differently and learning will occur. Over time, employees will learn to adapt to changing events in the operating environment. The first few times a managerial candidate faces unforeseen circumstances, it may be difficult to revise the game plan to suit the conditions. With effective coaching and a sprinkling of successes, however, the new manager will learn to handle tough situations without the need to involve a higher up. Every business has its share of unpredicatable events that can influence performance. While these events cannot be anticipated exactly, they can be expected and planned for in a hypothetical sense. As employees become more flexible in the way in which they carry out their responsibilities, they will be able to aid the business plan execution by adapting to change more quickly and accurately.